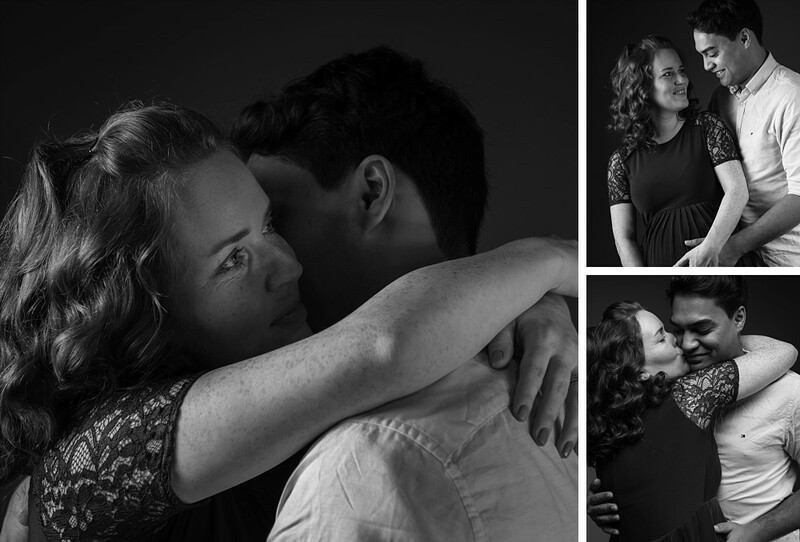 There are many styles and approaches to maternity photography in Sydney. For us, choosing a photographer with the right style and feel is very important. There is a good reason wedding and family photographers are different, and seldom cross over. In a wedding where there’s an element of putting on a grand event for the benefit of your family and guests. You choose a venue and caterer your guests will like and family will approve of. You choose a dress that will awe. Some people even close off streets and hire helicopters. You have photos that are often styled for dramatic effect and could belong in a fashion magazine. For high profile people live to impress, there are photographers who cater for pregnancy in the same way, aiming for highly styled fashion magazine photos. We tend to cater for more regular people, and the approach is a bit different. To us, pregnancy is a very private time. 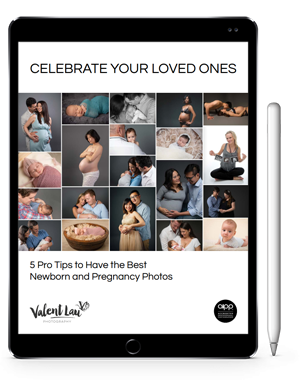 Sure you’ll share some photos to Facebook, but some will only be shared with those closest to you, and to your baby yet to be born. Despite what movies and TV tell you, getting pregnant isn’t always easy. For many couples, the journey has been long and hard. To respect this journey, we believe an authentic approach with genuine emotions and connections are important. When you look at your own photographs on the wall, you not only see how you look, you also remember how you felt. If you’ve read any “how to find a photographer” articles you’ll find advice like analysing the colors, sharpness, props, location, and even pricing of the photographer. Some articles even suggest making a spreadsheet, and comparing your options like a balance sheet, completely logical, void of emotion or feeling. They said “it felt awkward”, “I felt silly standing in that pose”, “I didn’t know what to do,” or “it just doesn’t feel like us.” The end result was that the photos triggered those memories, and so they now sit in a box in the garage. By the way people who loved their photos also never talked about the points above! They talk about feeling confident, connected, and in love. What’s important for your pregnancy photography is that they represent the real connection between you. Our photographs allow you to re-live the emotions that you are feeling right now. If you felt totally connected and in love, then each time you walk past the photograph on the wall it will give you a boost of energy. It’s not about having a lot of photos. Many of our clients create a Premium Story Collection with photographs that tell their story, that they can enjoy every day. In society we often wear a mask. We try to look more confident than we are, we hide when we are unsure, we pretend everything is going exactly as planned. As kids we were taught to put on a cheesy smile whenever a camera was pointed at us. We’ve perfected the selfie that often a stranger would not recognise as us. With maternity photography, it is a time to let down those barriers and be true to ourselves. Our partners loved us for who we are, not who we pretend to be. These photographs will serve to be an heirloom for your children. It is the start of their journey, and shows how much their parents loved each other and them, before they were even born. Our approach is to get to know your story, and to capture it in a way true to you. This way our sessions are relaxed because we are not strangers. There is no awkward posing or forced smiles. We know what that gentle touch means, or what significance that grin has, and are there to capture it as it happens. 20 years from now, you will look back and be able to proudly say this is who we were. Your child will feel as you felt. We are based in Coogee and many of our pregnancy clients come from the Eastern Suburbs area. But just as you’d drive a little further for a good restaurant, for many couples, this may be the only pregnancy they’ll ever have. We’ve had clients come from as far as Camden, Penrith, and the Northern Beaches because they felt our approach was the right fit for them. We are fully AIPP Accredited Professional Photographers. This just means we subscribe to a code of ethics and support the betterment of the photography industry in Australia.